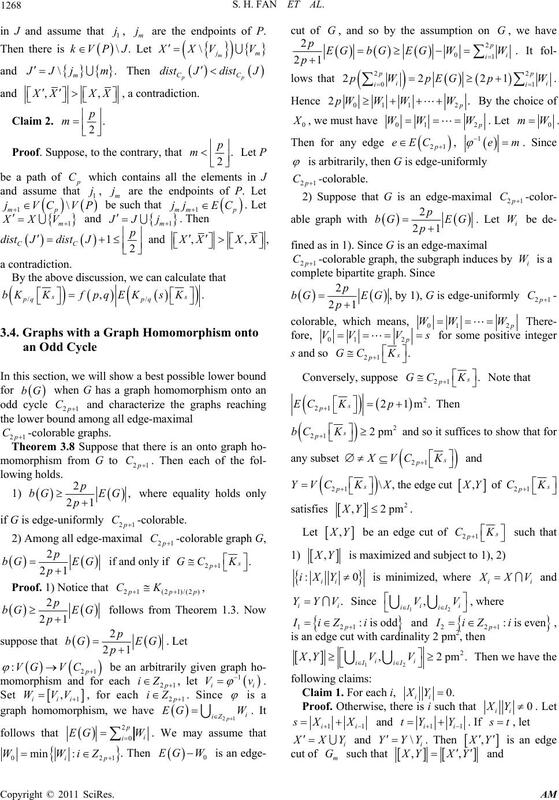 graph with a graph homomorphism onto a complete graph, or onto an odd cycle. of edges of G with one end in X and the other end in Y.
t of GmaxbG:is an edgeD D cu. 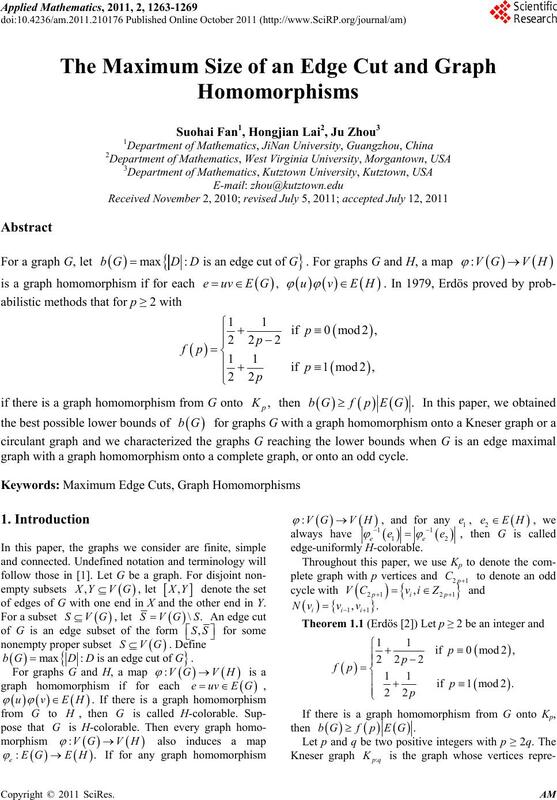 S. H. FAN ET AL. which will be used in the proofs of other theorems. 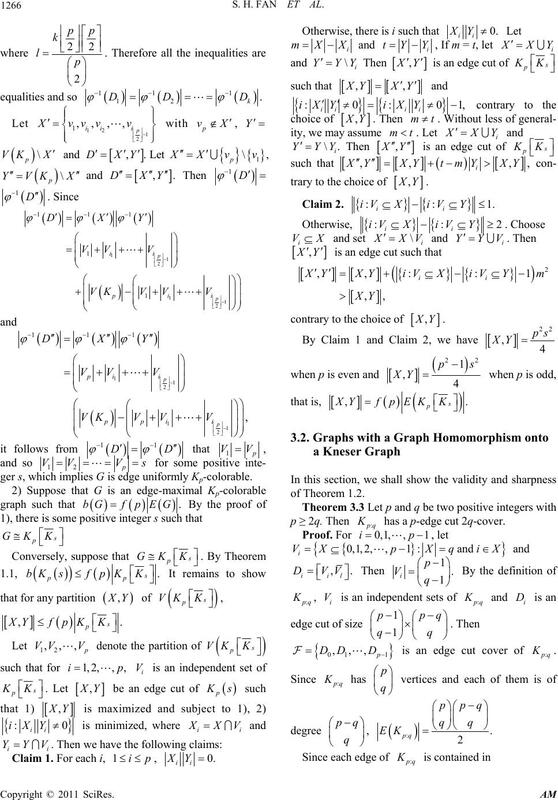 Lemma 2.1 Let g be a function between sets X and Y.
H has a k-edge cut l-cover. H has a k-edge cut at least l-cover. 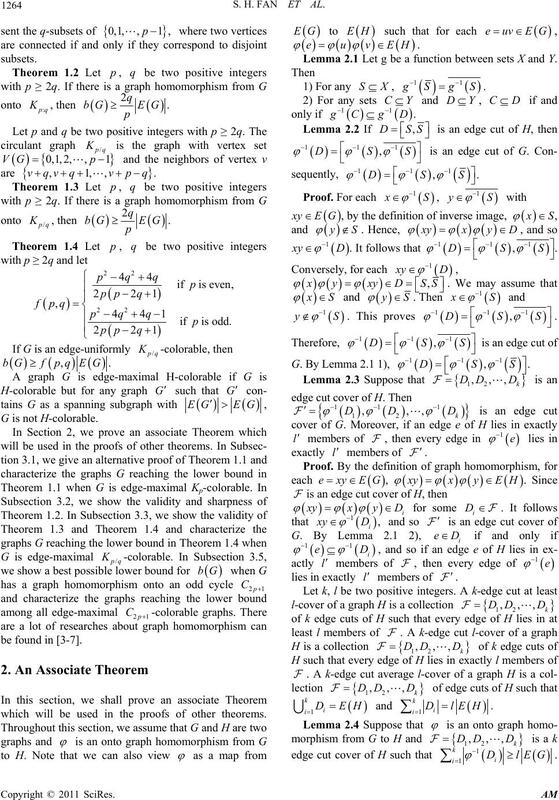 lower bound of Theorem 1.1 is reached. Then each of the following holds. bGfpEG if and only if . 1266 S. H. FAN ET AL. Otherwise, there is i such that 0.
has a p-edge cut 2q-cover. 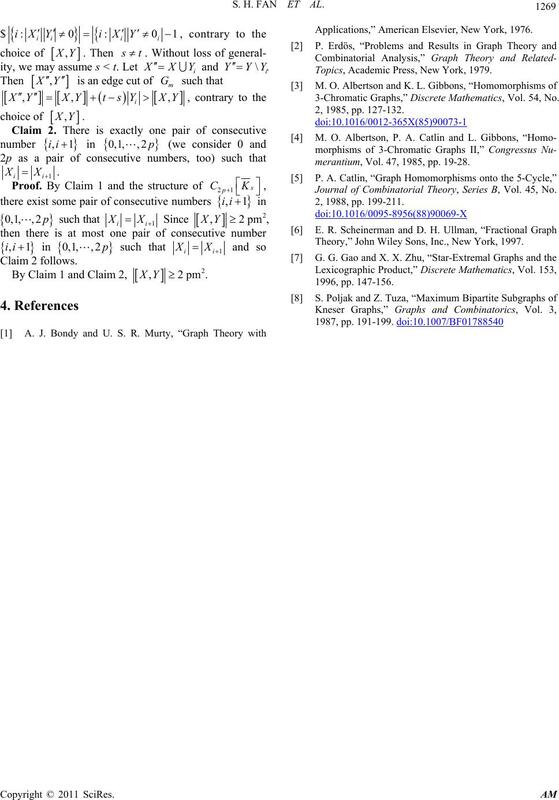 Theorem 2.5 and Theorem 3.3. Theorem 1.3 and Theorem 1.4.
p ≥ 2q. Then the following hold. has a p-edge cut at least 2q-cover. 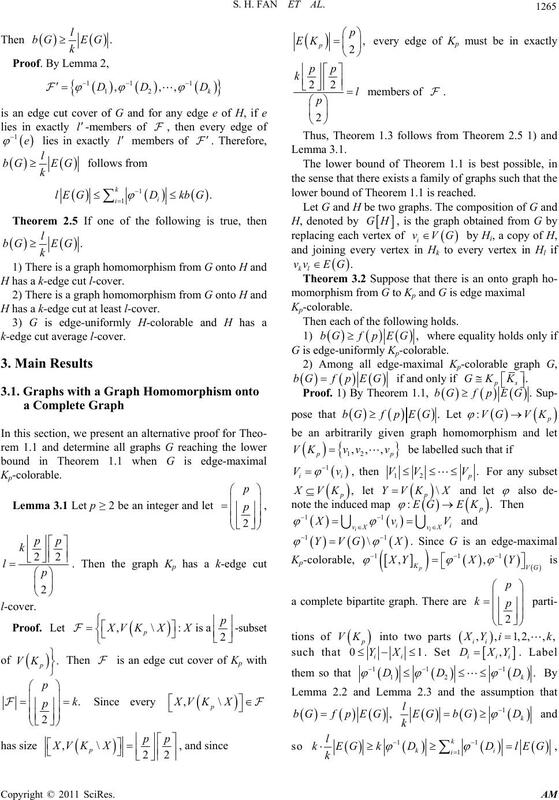 Theorem 2.5 and Theorem 3.6 1). 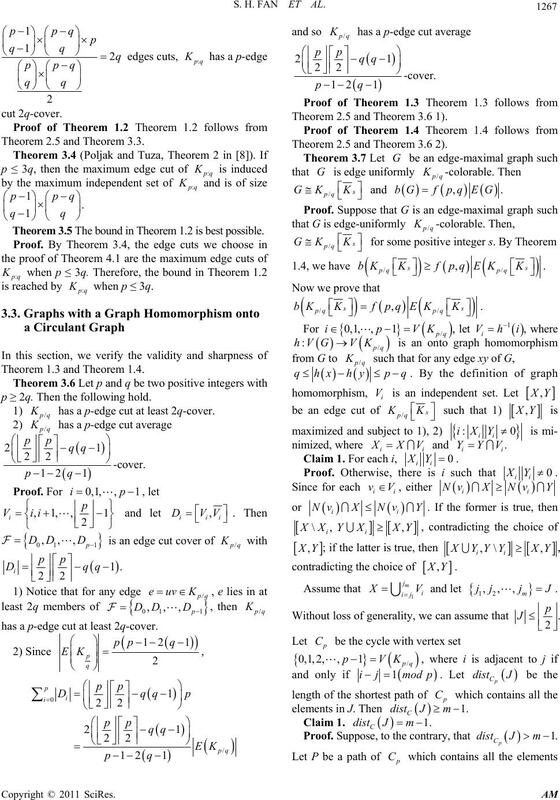 Theorem 2.5 and Theorem 3.6 2). Proof. Suppose, to the cory, that ntra.  only if d 21 . Claim 1. For each i, 0. Applications,” American Elsevier, New York, 1976. Topics, Academic Press, New York, 1979.
ies B, Vol. 45, No. merantium, Vol. 47, 1985, pp. 19-28.